How often can you vote on TMS anyways? You can vote every 12 hours. Topmudsites will not tell you if your vote counts or not, however. To be sure you're getting two votes counted a day, it's ideally best to vote about every 8 hours. If you have multiple people in your household voting be aware that duplicate votes from the same network won't count. Note that voting via a cell signal and vs. a network will both count, which is one way of dealing with the above. They'll both count, every 12 hours. Same with votes from different networks. Each network can be used to vote twice per day. It's one vote per 12 hours per network, not per game. So, you can't vote on a particular network more than once every 12 hours - if you vote for multiple games in that 12 hours from that network, only the first vote will count. I believe by "network" TMS actually looks at the first three parts of your IP address. So places with the same or very similar IP addresses won't count (e.g. different computers in your home or in a computer lab), but on a different ISP certainly will. you forgot to bring your imperian issued ID. 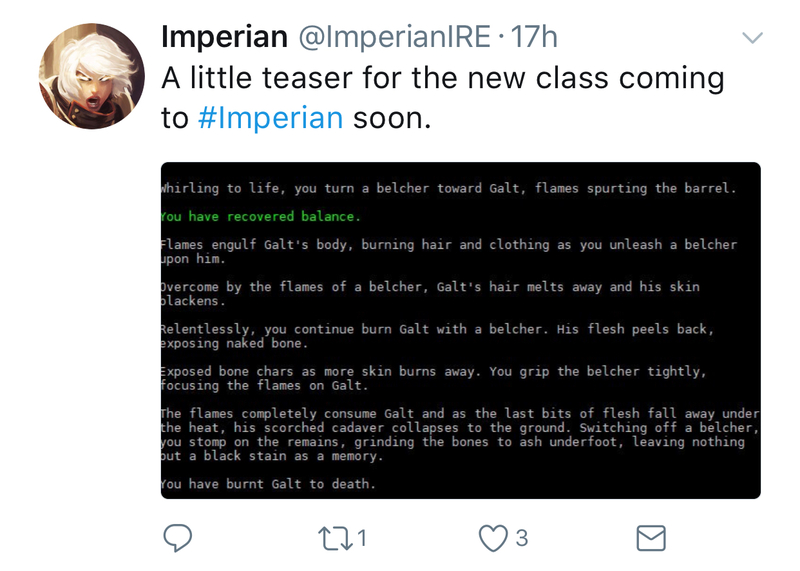 Note that while this will register as a vote on Imperian's vote reminder, it will not actually count as a vote at TMS. Are you following us on twitter? If not, you’re missing out! 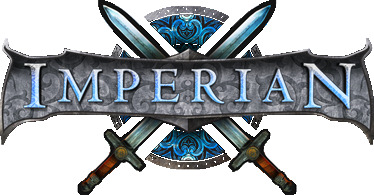 With US Election Day behind is, take that energy and go vote for Imperian! OK, maybe I was wrong about Engineer. That kill message is rad. Btw, we've got entities.. we just need more players to have fun with them! A new generation of PKers and RPers! Vote for visibility! Thanks for all the recent votes on TMS people! What's that? New month? Votes for the vote gods! I think you're threatening to send me to Dis if I don't vote. If he wasn't before, he is now, though I think that might be a violation of TMS's voting rules? Hey, look, we're the 2nd highest placed IRE! We fell off the front page!! !